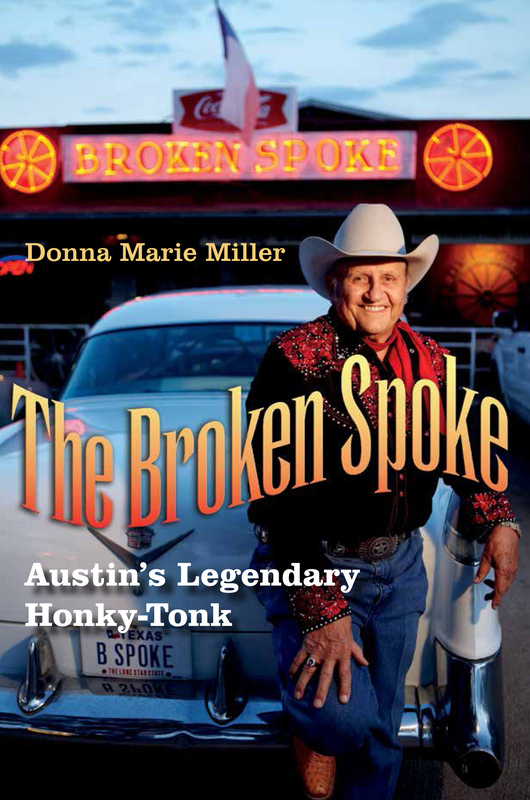 Regaling in glory days as hippies performing classic country music, Freda and the Firedogs also memorialized an old friend at the Broken Spoke in Austin March 22. The show culminated two sold-out reunion shows that began the night before at The Paramount Theatre. U.S. Rep. Lloyd Doggett emceed the Broken Spoke reunion concert that also paid tribute to San Antonio’s legendary guitarist Doug Sahm who died in 1999. Attendees included some of Austin’s biggest movers and shakers in the music community including Waterloo Records president John Kunz and his wife, Cathy. More than 36 years have passed since five members of Freda and the Firedogs played together on stage. They last reunited for a single performance at the Old Soap Creek Saloon in Austin in January of 1979. They performed their final concert as a band at Willie Nelson’s Fourth of July Picnic in College Station at the Texas World Speedway on July 5, 1974. Original band members included: piano player and vocalist Marcia Ball, bass player and singer/song writer Bobby Earl Smith, guitarist John X. Reed, drummer Steve McDaniels, and steel and accordion player David Cook. Broken Spoke founder James White also took the stage with them to sing a Buck Owens’ version of the 1955 song, “Rollin in My Sweet Baby’s Arms,” by Lester Flatt, Earl Scruggs, and the Foggy Mountain Boys. Freda and the Firedogs performed two lively sets of fan favorites including: Merle Haggard’s 1966 “Swinging Doors,” and Rubye Blevin’s (aka: Patsy Montana’s) 1935 hit, “I Want To Be a Cowboy Sweetheart.” They also played two originals “Muleshoe” and “Dry Creek Inn,” that Smith wrote. In 1972 Ball traveled from her hometown of Baton Rouge on her way to San Francisco when her car broke down in Austin; afterwards she never left. Soon she met bassist Smith and together they founded their band. 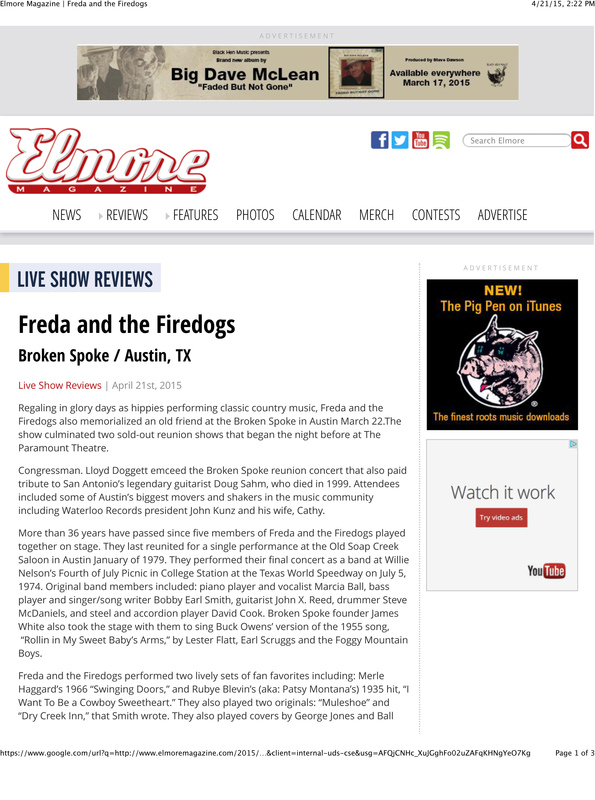 During the early 1970s, Freda and the Firedogs helped to bridge the cultural gap that once divided the long hairs from the traditional country music fans throughout Texas. The band often opened shows and performed with Sahm at the formerly famous Armadillo World Headquarters. About that time, Doggett began his political campaign for state senator and he asked Freda and the Firedogs to perform at his first fundraiser held at the Broken Spoke on July 9, 1973.